Innovation is mandatory to survive in today’s highly competitive market. This is why an increasing number of companies are investing heavily in innovation. However, the success of a company depends on more than the ability to come up with great ideas. It is also about bringing these breakthrough solutions to the market in time. The novelty factor of a new feature or product diminishes fast. That, and you can also be sure that a competitor with a similar product is racing to hit the market in a bid to grab the first mover advantage. Hence, reducing the time-to-market is critical to an organization’s success. Time-to-Market is the time needed to bring a product to completion and get it into the hands of the audience it is intended for. This encompasses the entire process of generating a product idea; formulating the complete design cycle; developing and testing it; and launching it in the market. The smoother and organized your company’s product development process is, the easier it is for you to shorten the time-to-market and roll-out your product at the right time and place. Unfortunately, a delay in time-to-market isn’t the exception. In most cases, it is the rule! Research shows that most organizations and product design teams misuse more than 40% of their resources. This, in turn, creates inefficiency and delays. This disorganization is a significant overhead in added efforts like poor information management, disordered administrative paperwork, etc. So what can be done to accelerate the time-to-market? While several factors can contribute to accelerating time-to-market, training can play a significant role in this process. In fact, it can be a game-changer. Let us find out how! How Training Can Help in Speeding the Time-to-Market? Many product innovations are driven by new technology. Business models and processes are also being transformed by technology-driven waves like digital transformation. As it happens, technology today is evolving fast. Owing to this rapid and endless pace of change, businesses need to continuously up-skill their workforce. Without that the people will struggle to perform effectively. Their challenge is not just to understand the new technologies, but also to get plugged into the new ways of working that these technologies could drive. A survey revealed that about 45% of the large companies realized the correlation between training and the success of their organization. They offer training opportunities to employees at regular intervals to ensure they stay updated. When both the technical and non-technical workforce is trained consistently, companies are able to use cutting-edge technology to gain a competitive advantage, reduce operating expenses, and deliver better value to customers, that too at the right time. New Technologies: Organizations should provide training to promote business value realization in addition to facilitating successful go-live strategies as they adopt new technologies. In-Demand Skills: While yes, companies do benefit from hiring new talent with in-demand skills, the impact would be far-reaching if they supported their existing employees in developing these skills. After all, a workplace culture that thrives on innovation is driven largely by learning opportunities across the board. Behavioral Skills: A survey by the Institution of Engineering and Technology (IET) shows that nearly two thirds (65%) of mid-size companies choose to impart soft-skill training over technical training to new employees. While the technical aptitude of employees is essential for the success of an organization, people skills are equally necessary. Developing behavioral dimensions and people skills in employees is critical. Behavioral skills shelter a wide array of topics such as customer service, goal-setting, maintaining a positive mental attitude, listening effectively, team building, etc. your team could end up wasting time on delivering parts out of sequence and you may not be able to roll a finished product out within the time budgeted. Such errors are not only expensive but can also cost your company months of delays. When your time-to-market is short and you launch your product on time, you can out-manoeuvre the competition. When your employees are up-to-date with all the required technical, business process, product, and market knowledge and are working in synchronicity, your product development process automatically gets streamlined. This will make your time-to-market more predictable. A well-trained team will launch a better product faster—it’s that simple. Training your product developers, testers, and even marketing and sales employees is important if accelerating the Going-to-Market time is important. 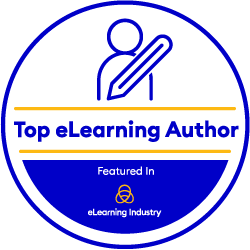 At eNyota, we can help create custom vertical specific eLearning courses to help train and develop the skills needed to bring your product to the market. Reach out to us at contactus@enyotalearning.com or click here to fill a short form if you are interested in accelerating the time needed to Go-to-Market. We’d be glad to discuss and help you achieve such goals. Virtual Reality In The Classroom: Is Virtual Reality Making A Comeback In Education?